Breaking news and special reports ofter cover programming. In some cases, however, there’s still a way to get caught up on your favorite show. The program may be rebroadcast at a later time in its entirety. Often this is done overnight so that viewers can use DVRs to record the episode that was pre-empted. This is most commonly done for popular syndicated shows where continuity is important, such as “Wheel of Fortune” and “Jeopardy!” More advanced DVRs may automatically detect such changes and automatically record the alternate time, but it’s a good idea to double check. The program’s run may be pushed back a day or a week. This most commonly occurs with popular programming and when the pre-emption planned for. In these cases, the network or station may air a brief message before or during the broadcast explaining when it will air. Look for this to find out if your show will air at a different time. The program may run a shortened form. 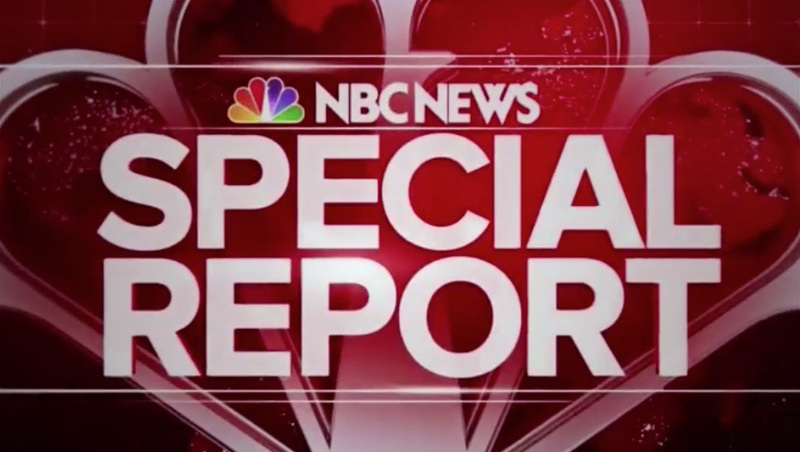 If a special report only covers a part of a program, particularly live ones, the broadcast may simply be shortened to fill the remaining time. For example, a live 30 minute show might lose 5 minutes due to a special report and will simply become a 25 minute program to allow the next show to start on time. Some live programming may still be produced “live to tape” even as the special report is airing and then aired later. The program may simply be “skipped” for that day. This is most common for live shows. In these cases, the show will simply pick up the next day, though, due to scheduling issues, advertised guests and segments may change. The program may simply be pre-empted and, unfortunately, not air again unless it is eligible to air as a rerun at some point in the future. The program may also appear on home video releases, including DVDs, streaming services, iTunes or On Demand services. In other cases, a live or taped program may simply be joined “in progress.” Sometimes stations and networks will re-air the complete broadcast at a later time or day and, if applicable, it is included in its complete for on home video releases. In some cases, if the special report is relatively short, the network or station may simply “push back” the schedule for the night and run programming as intended, just on a slight delay that continues throughout the day or evening. You should double check your DVR to make sure it records programs in their entirety. If the pre-emption was planned, such as a presidential address, taped programming may be edited to fit the time allotted, though this is less common and typically only happens when special coverage is scheduled in advance and is relatively short. In some cases, the full version of the episode may be scheduled to air in the future, sometimes in an “off peak” time or appear in the home video version, syndication or rerun. In even rarer cases, a taped production may know it needs to run “short” on an episode slated to run at some point in the future. In these cases, the episode will either be prepared to fit in the expected time available or may have segments that can be removed without affecting the storyline. These segments will be removed for the original airing but are typically restored in syndication, home video release and reruns. On cable news channels, live rolling coverage is typically simply pre-empted. In some cases, the hosts of programs pre-empted may appear as part of the special coverage. In other cases, a channel may air the program at the same time but on a different channel or network, often a cable channel or digital subchannel. Some stations use a similar approach by airing pre-empted programming on an off-peak time but on another channel. Check social media. Many stations post updates as to when viewers can catch their favorite programming. Contact the local station or network airing the program and find out what the plans are for re-airing it. Watch during the special coverage for a special message before or after that alerts you to what the channel is planning. Some stations may also run a scrolling ticker alert during special coverage to notify viewers of their plans. Less commonly, the hosts of the coverage may also announce on air what the plans are. This is not done frequently, however, because of time and local scheduling differences. In some cases, a channel may carry the normal show in a large box on the screen with its audio broadcast as well, with silent video feeds or weather maps, in the case of severe weather, on the breaking news story. Finally, many syndicated shows air multiple times on the same day. For example, a popular talk show may air early in the day on one channel, then later in the day on a cable network or other station. Check your local TV listings or interactive guide for this and compare episode numbers and descriptions to confirm they match. You can then either record or watch the alternative airing. This post was last updated September 28, 2018 and, although it was believed to be accurate at that time, this information may have changed since this time. Although reasonable efforts are made to ensure the accuracy of this answer, it cannot be guaranteed and you are encouraged to verify any details independently.